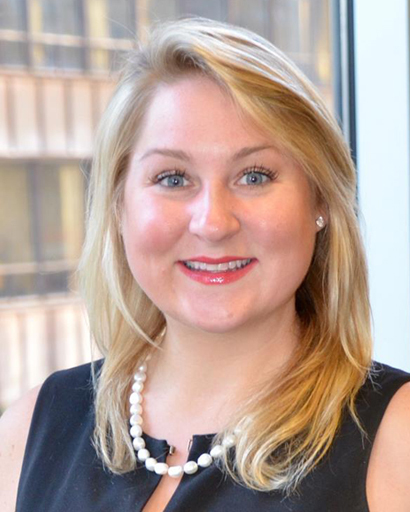 Lauren O’Keefe has been a medical-legal consultant at Kralovec, Jambois & Schwartz since 2013. Ms. O’Keefe has been a medical-legal consultant concentrating exclusively in the areas of plaintiff medical malpractice, obstetric negligence, wrongful death, and personal injury for nearly a decade. Ms. O’Keefe has been a member of trial teams across the Midwest, including the states of Illinois, Wisconsin, and Ohio. Ms. O’Keefe has worked on hundreds of complicated medical malpractice cases involving birth injuries, cerebral palsy, surgical errors, and missed or delayed diagnosis of serious and life-threatening health conditions, including cancer, infectious disease processes, cardiac issues, respiratory issues, and strokes. In addition to her experience with medical malpractice cases, Ms. O’Keefe has worked on numerous complex personal injury actions involving trucking accidents, construction site negligence, railroad girder bridge collapses, and automobile collisions. Further, Ms. O’Keefe has been invited to speak to obstetric and surgical residents and fellows at hospitals throughout the Chicagoland area on topics involving medical negligence and the civil lawsuit process. Most recently, she was invited to lecture to trauma surgery fellows during a Grand Rounds presentation at Mount Sinai Hospital in Chicago. Ms. O’Keefe is passionate about representing injured people and their families. In her career, she has been integral in achieving verdicts and settlements totaling in excess of $500 million dollars on behalf of victims and their families. Ms. O’Keefe received her Bachelor’s degrees in International Business and Business Management with a minor in French from Loyola University Chicago and her Master of Public Health from the University of Illinois at Chicago.